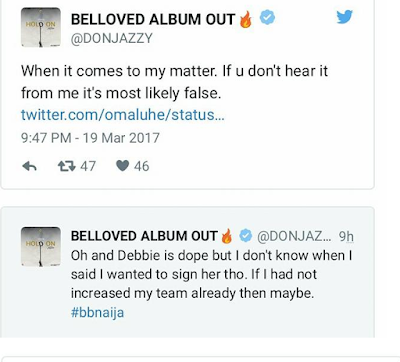 Mavin producer, Don Jazzy has denied rumours of his plans to sign Big Brother housemate, Debbie-rise into his record label. During the weekend, reports on the social media had it that the Mavin boss was planning to sign Debbie-rise after her eviction from the house. 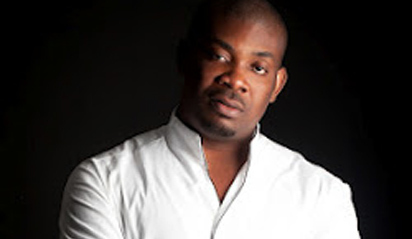 Unfortunately, Don jazzy who just signed three new artists including twin, DNA, who performed at Sunday Big brother eviction show said he had no intentions of signing the housemate. Recall that Thin Tall Tony, a father of two kids, was evicted from the house on Sunday evening. 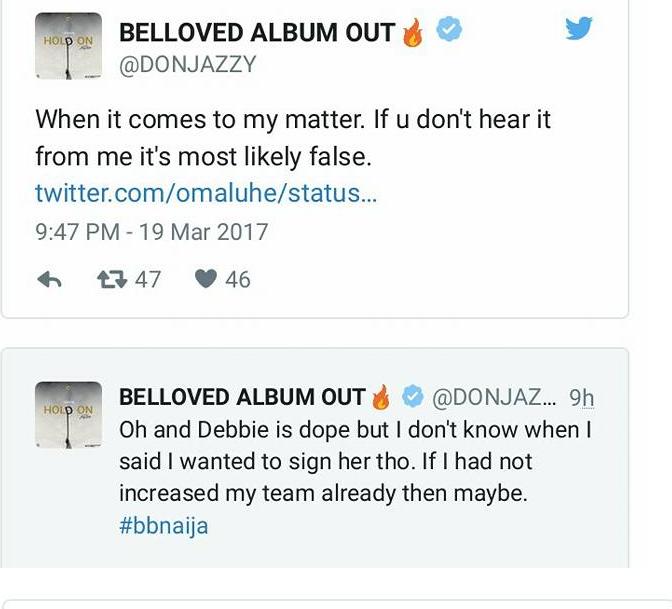 He, however, affirmed that Debbie rise is talented and will make it with or without Mavin when she comes out of the house. “Debbie is dope but I don’t know when I said I wanted to sign her though. “If I had not increased my team already then maybe.